Greetings. This is the new website for Hawes Escapes, the exciting new novel by J. Hardy Carroll. The novel tells the story of H.H. Hawes, a bombardier in a B-17 attacking Germany as part of the Mighty 8th Air Force’s dangerous daylight bombing campaign when six out ten planes were shot down during some missions. 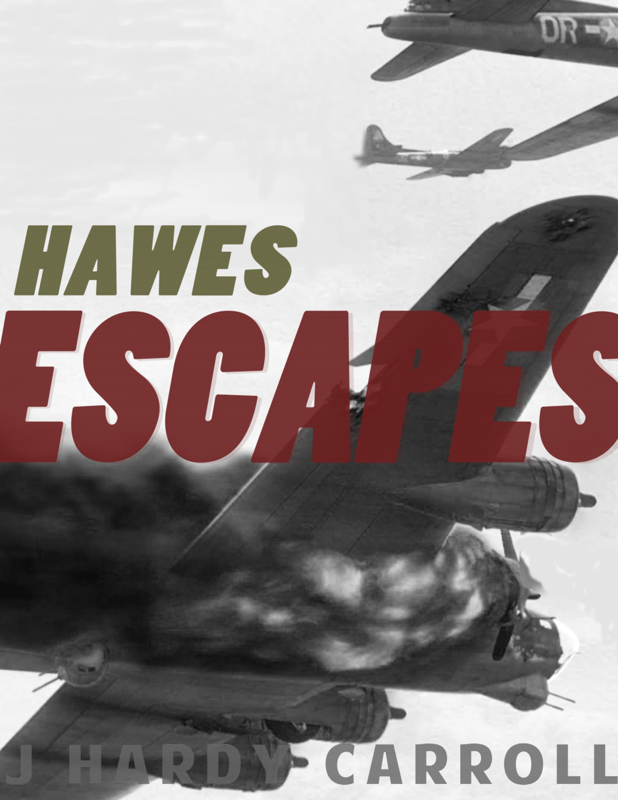 The Nazis aren’t Hawes’ only enemy, either. The ambitious and deadly Captain Colley, Hawes’ nemesis, wants him to use their secret OSS training to bring the war to the Germans in a very personal way. I don’t want to give away too much about the plot, but the book opens in a POW camp so you know that things don’t go so smoothly. I’ve put an enormous amount of effort into ensuring that the novel is as historically and technically accurate as possible. I hope to discuss some of my methods and techniques on this site, as well as share some thoughts about writing in general. I’ll also post updates and excerpts as well as special offers relating to the book. I’d love it if you would use the form to sign up for updates. I promise I’ll keep your information between you and me. Welcome aboard. I aim for this to be the first book of many, so hang on tight!